As I sit here and sip my tea, I can feel my whole house shake from the strength of the wind outside. 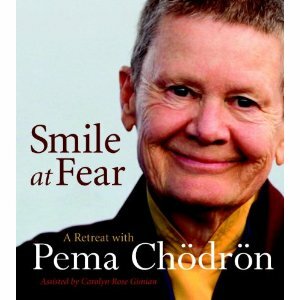 It’s a bit unnerving. We’re experiencing an incredible drop in temps from almost 60 yesterday to the 20s later on this afternoon. The winds are sweeping in a big change. What can I say? 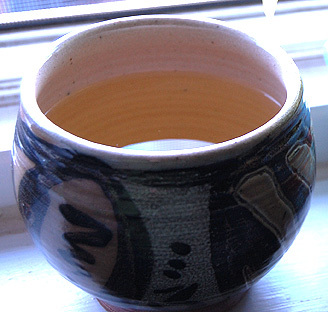 It’s late winter here in New England…..
On to my tea…. 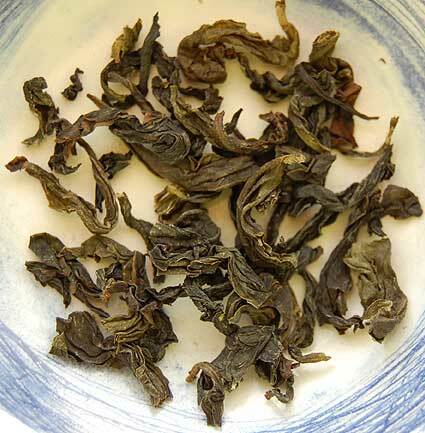 a lovely Pouchong style tea from the Jun Chiyabari estate in Nepal, called Jun Chiyabari Jade. 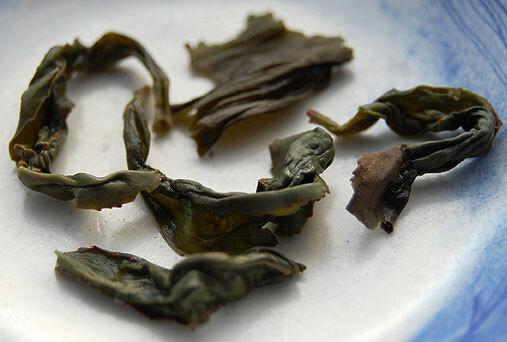 A Pouchong tea is a very lightly oxidized green tea. 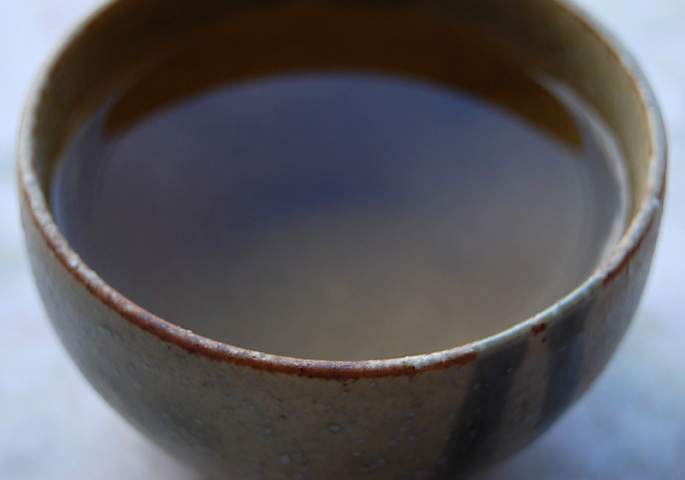 Because of the oxidation, some consider it an Oolong tea. I’d like to think of it as being in its very own category, a very unique and distinct tea. The word “pouchong” means “the wrapped kind”, referring to the ancient practice of wrapping the leaves as they were drying. 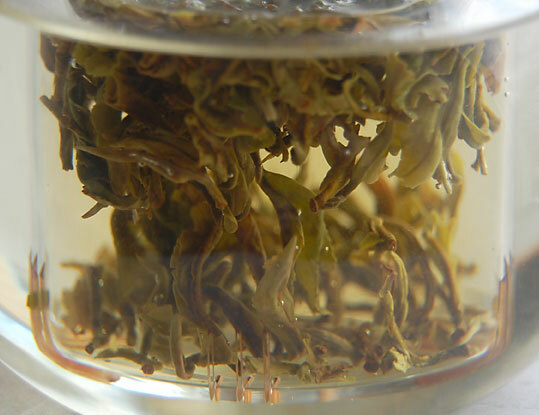 Back in 2000, brothers Lochan and Bachan Gyawali realized their dream of starting their own tea garden/company and Jun Chiyabari, meaning “moon tea garden”, was born. I wrote about their amazing story here. A recent article in the Nepali Times wrote about their commitment to empowering women in the tea business. Nearly 80% of their over 230 work force is women. 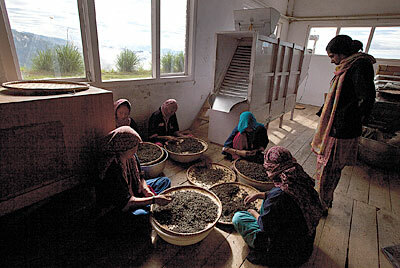 This is a great photo from the article, showing the women gathered round sorting the tea leaves. A circle of women. Very powerful. They do a great job. 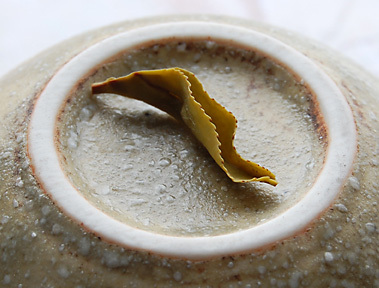 Look at the beauty of that intact tea leaf. I steeped the leaves for 3 minutes in 180 degree F water. 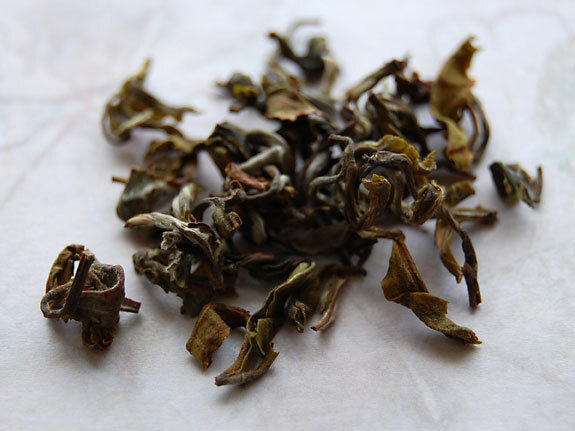 The aroma is sweetly floral, like a lightly oxidized Jade Oolong. 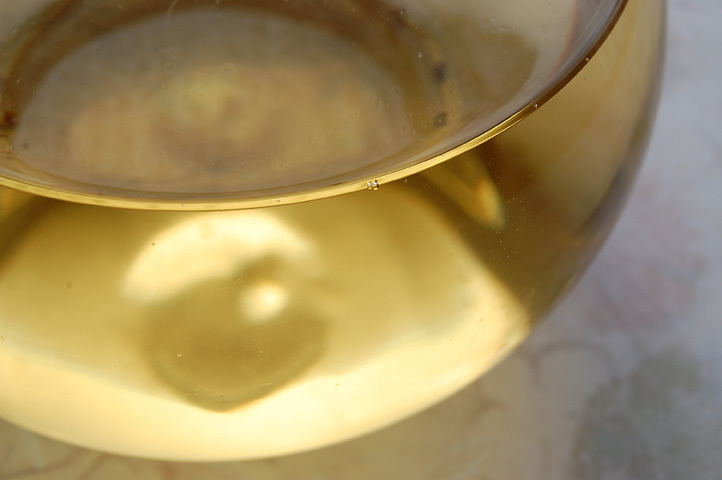 The golden liquor is amazingly sweet, almost as if I had added sugar to my tea. Hints of melon and apricot whisper in the flavor. I think they’re producing some great teas out of that tea garden. This tea was delicious. And I say “was” because my cup is now empty. Time to go make another pot!